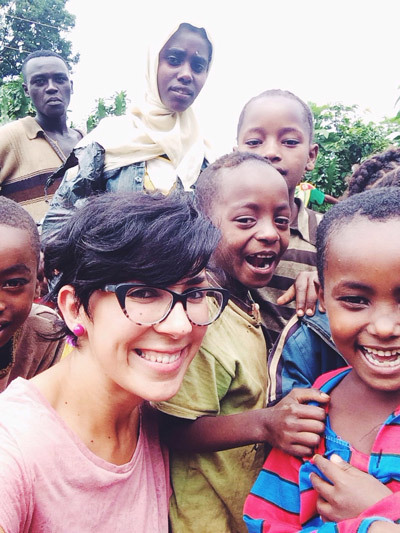 Nadine travelled to Ethiopia in 2014. She is an Architect and part of the Youth Fellowship Service Team. With a slight tinge of ‘healthy envy’ I happily wished many blessings to all the Team going to Ethiopia this year. Admittedly I was a bit sad that it was going to happen again, but this time I will not be there to witness it. Nevertheless the wheel has to keep on turning, and rightly so. The work of Living Water’s Mission in Ethiopia will thankfully keeping going, with or without me. Besides the outwards mission, Ethiopia is an internal journey. In the summer of 2014 I boarded a plane together with 7 members of the Team, as we made our way to Turkey before venturing for six weeks into the far land of Ethiopia. This year another group is doing the same exact thing. In the weeks prior to their departure they spoke about how they tried to imagine the people, the place, worrying about what they will eat, where they are going to sleep, wondering what sickness they might be effected with. I felt their excitement and understood their enthusiasm. I was in their exact same shoes, doubtful whether I’ll survive this or not, but tremendously looking forward to a new adventure in the land which I had heard about so often but had never witnessed. A typical welcome in a rural Ethiopian village. We had the opportunity to visit vast number of villages and we were always welcomed with great enthusiasm and treated far highly than we deserve. Homes were decorated with flowers for our visit and the entire village waited anxiously for us in the streets with singing and dancing. A meal was always prepared, going that extra mile and killing the poor lamb for us – a special meal which they only have once a year. Every day, Manuel shared brief messages of love, hope and grace, encouraging them by reading and explaining parables from the Bible. We would then listen to any questions that they might have, provide answers and welcome requests for the village needs. Most of these were for new water pumps and reservoirs, to provide fresh water to the whole community and nearby villagers. Our visits would never be complete before spending some time playing with the children. It was also a wonderful time to be close to the people. 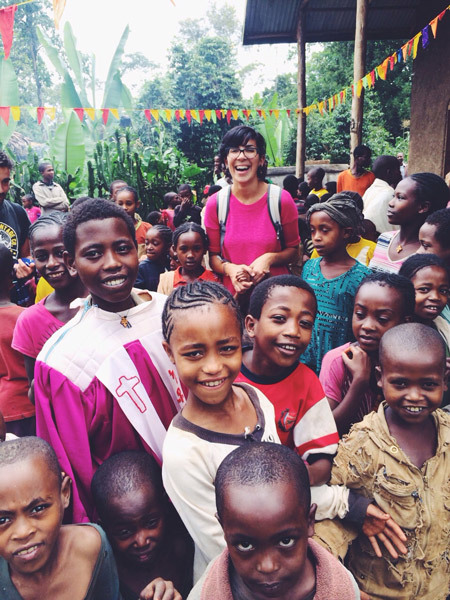 Besides the outwards mission, Ethiopia is an internal journey. Personally, I struggled a lot to understand our purpose in being there, as I started to realise how little we can do to alleviate the suffering of so many people and to provide for the extensive needs that they have. These people ask for a well ten kilometres away from their home, they do not even dream about having fresh water in their own dwelling. They are happy seeing white people, because most of them have never really met them before. They crave to listen to what we have to say because they have incredible limitations, even to attend mass. In some villages, mass is only celebrated once every two months and they have to journey for over two hours to reach their destination. So yes, there were instances where I started getting frustrated as to how little I can actually do for them and it broke my heart. After much internal conflict and long discussions with Manuel and the team, I started to realise that ‘doing’ actual things for these people during our mission would only satisfy my need to provide. The vision has to be to love them and to do the little we can do with all our hearts, for the glory of God. We also had to look at the mission in the long term, by investing in young people, educating and constantly supporting them, even from our country. I started to realise that ‘doing’ actual things for these people during our mission would only satisfy my need to provide. In Ethiopia, one must stop trying to be a doer and simply be there with the people, to hold their hands, be happy with them, sing, dance and most importantly, smile – a powerful way of communicating despite the language barrier. It is definitely contagious and it transmits so much joy and honesty. I can go on rambling about our funny mishaps and recounting stories that touched my heart for a long while, and perhaps one can never truly understand the awe and mystery which a person faces in such experiences. But I have been a witness to something far greater than what I could imagine and it is now my joy to share this with those around me as best as I can.